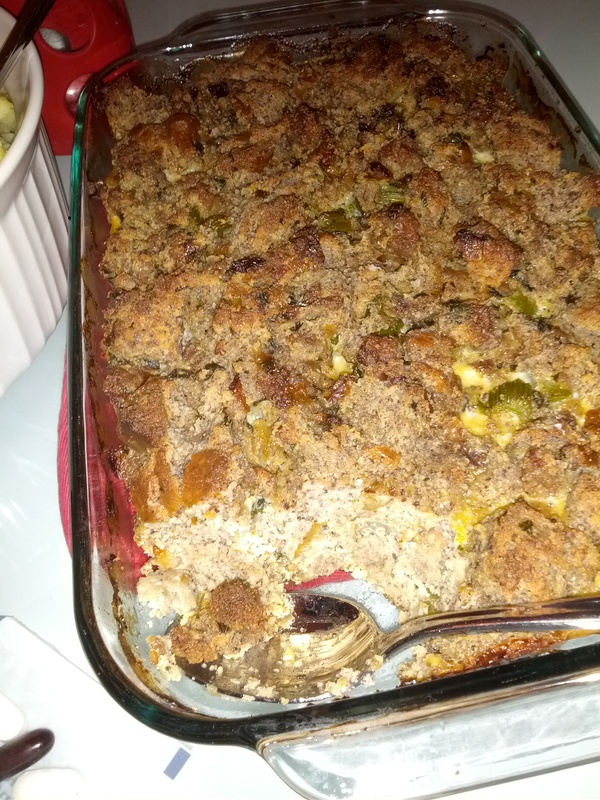 If you are heading into the holidays with restricted eating like I am, you will love this Paleo “Cornbread” Stuffing. I made this last Thanksgiving at my sister’s house and everyone loved it, including my brother-in-law who pretty much wants nothing to do with my Paleo cooking. That’s okay, though, because I will keep on cooking this way, knowing I feel much better omitting grains, gluten, dairy, legumes and sugar. It does get mentally tough sometimes to stay the course 100% of the time (I am human), but I know this is the right lifestyle for my family. Maybe you are testing the waters with gluten-free or paleo eating or you have a friend/spouse/pet/family member that has just been diagnosed with an allergy or wants to see what this crazy eating lifestyle is all about. If that’s you, this recipe will be a homerun! In my free time (which is usually the hours after the girls go to bed) I love to scour websites for recipes to find just what I’m looking for. This particular time I was on the hunt for a tasty grain-free stuffing recipe that I could make and didn’t have to buy. I wasn’t finding exactly what I wanted, so it took a compilation of two recipes to get it precisely right. 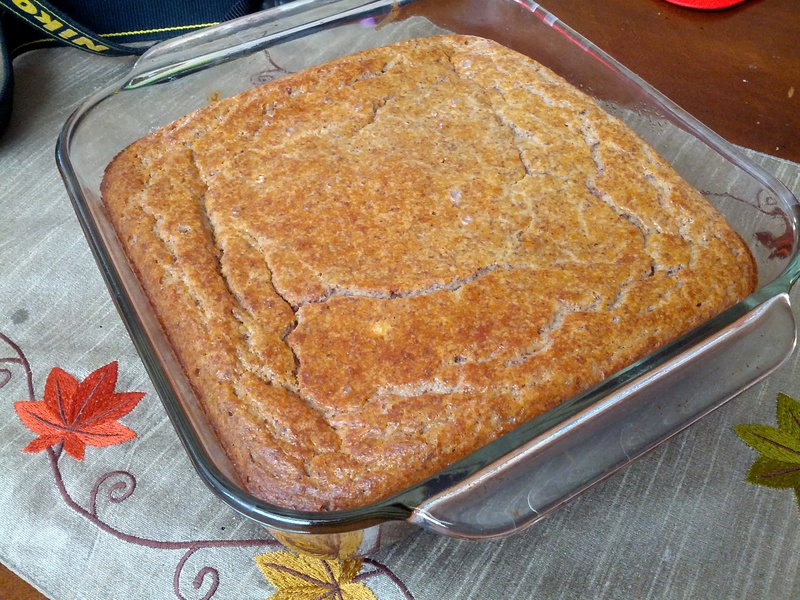 I found this Grain-free “Cornbread” and Sausage Stuffing (probably from Pinterest) and decided that was what our Thanksgiving needed. But it wasn’t until I was flipping through my birthday present (and drooling over the photos), The Paleo Chocolate Lovers’ Cookbook, that I chose to use Kelly‘s Mock Cornbread recipe, instead of the original. Yes, you will have to make two separate dishes (the cornbread will go into the stuffing), but I promise it will be worth it. I made the cornbread an hour before we left for Houston, gathered the rest of the ingredients (including sausage from the pig we bought), and whipped up the stuffing the following day at my sister’s. Even though I’m still deciding on our Thanksgiving menu this year (including side dishes), I know this one will be on the list. Give it a try and let me know how it turns out. And whatever you do, don’t skip out on the sage! 1. Preheat oven to 350°F and adjust rack to middle position. What do you think? 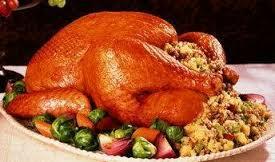 Will you give it a try if you are omitting certain foods this holiday? Or do you have a stuffing recipe that you use year after year or are you anti-stuffing? Josh has one that has veggies in it that I’m thinking I could adapt to be Paleo for this Thanksgiving. If you’re feeling adventurous and you have a waffle iron…you might want to give this recipe a try!